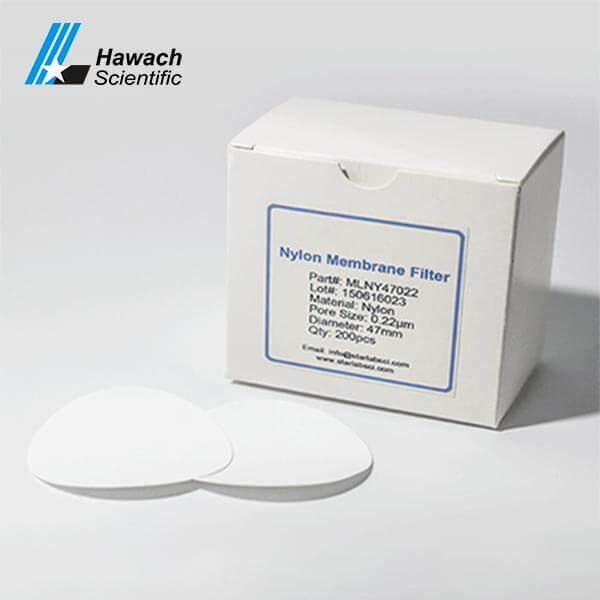 Hawach Nylon membrane filter is mostly highly used filter media type in HPLC sample preparation and micro-porous filtration applications. Mostly used for hydrophilic solvents or samples with acid or alkali. 0.45 and 0.22 micron is the most commonly used size by most general lab applications. 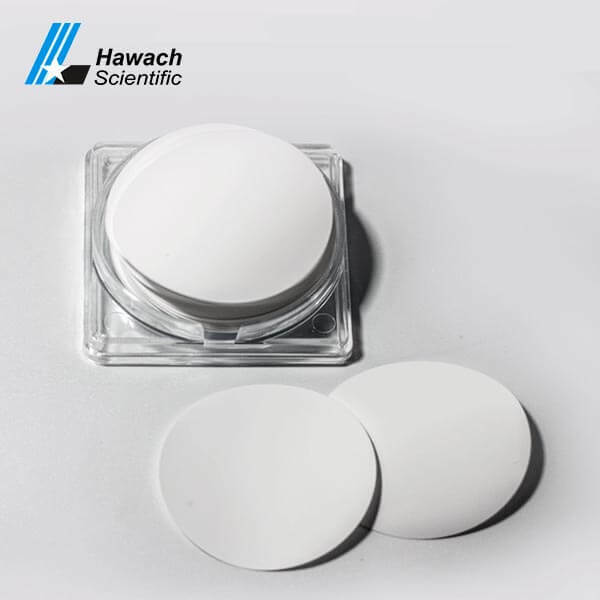 Excellent temperature resistance can withstand 121 °C saturated steam hot pressure sterilization for 30min, maximum working temperature 60 °C, good chemical stability, can withstand esters, oils, hydrocarbons, dilute alkali, alcohols, dilute acid, a variety of organic and inorganic compounds. Electronic application, microelectronics application, semiconductor industry application, water filtration, water treatment, tissue culture media filtration, and environmental inspections. Filtration of liquid medicine, filtration of beverages, filtration of highly purified products. Filtration of the aqueous solution and the organic mobile phase. 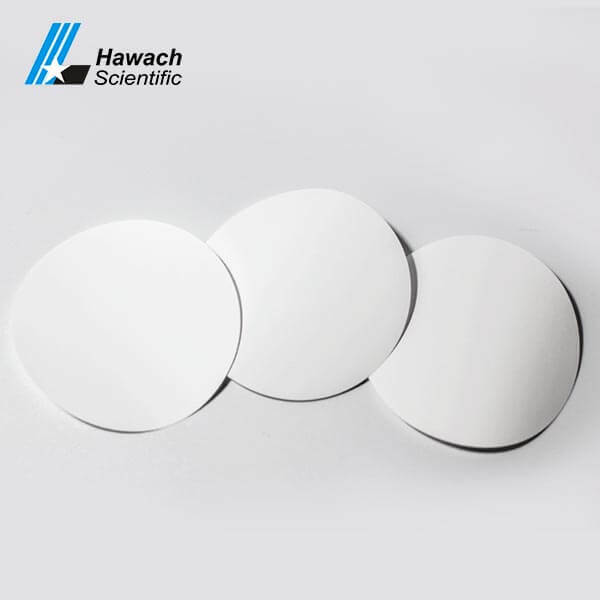 Nylon Membrane Filter in the supply of discs and membrane filter roll. Nylon syringe filter in the supply of non-sterile and sterile filters, complete filter size and pore size in supply for customers choice.